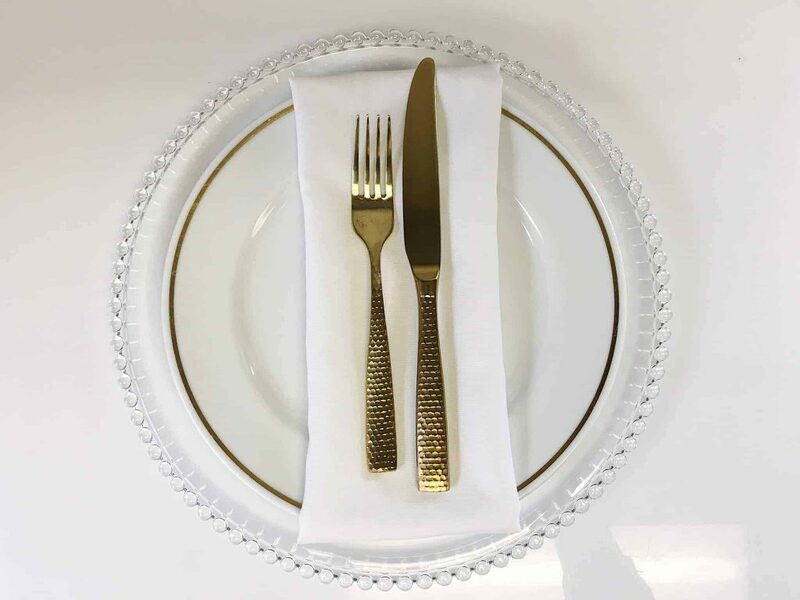 3 Ways to Add Sparkle with Gold Cutlery | Special Event Rentals / Party Rentals Inc.
Gold Cutlery is a great way to add a touch of glamour to your place settings. Our Gold Cutlery definitely makes a bold statement; however, it is also quite versatile! Below, we’ve compiled three, very different, but equally gorgeous looks using our Emma Gold Cutlery. When it comes to weddings, you can never go wrong with white and gold. Our Gold Band China helps to tie this look together beautifully. 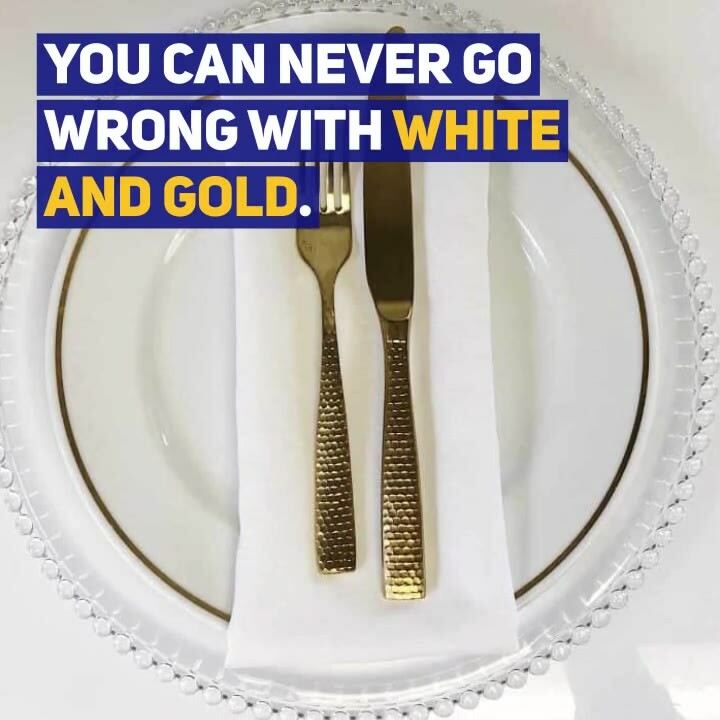 We placed a white napkin around the plate and incorporated the Gold Cutlery right on the setting to really make a statement. Our Glass Beaded Charger really is the perfect finishing touch, as it completes the look without overshadowing the Gold Cutlery. Sure, gold & black is a popular colour combination, but a colourful place setting like the one above is much more light and fun! 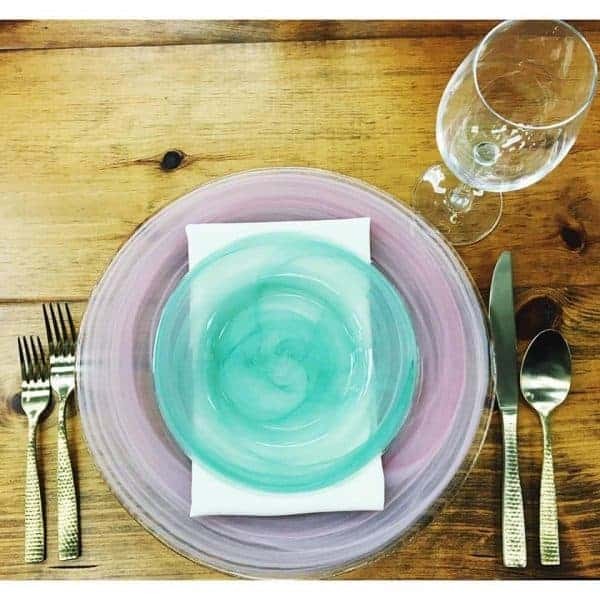 Pastel themes are super in right now, and our Gold Cutlery really shines next to our marble charger and side plate. This combination would be perfect for a garden party, bridal shower, baby shower or maybe even a fun girls night? Truly, anything is possible! This look is currently on display in our showroom and is inspired by a dark and sparkly winter wedding. 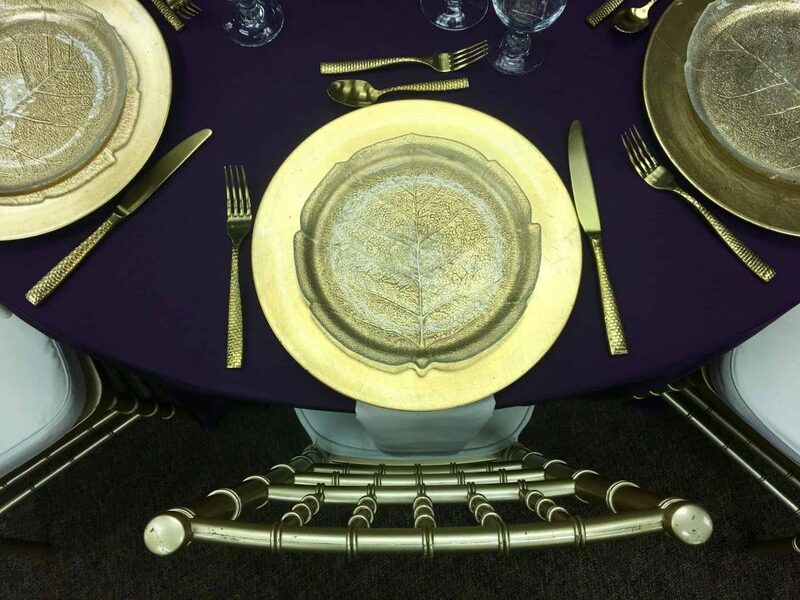 Choosing a dark tablecloth, like our deep purple really makes the Gold Cutlery stand out dramatically. If you want a wedding for the books, then this look is for you! As always, subscribe below to be the first to know about our newest products and upcoming discounts for the holiday season!